South Africa’s dual listing demand, which proved to be the key deal breaker for Bharti Airtel Ltd’s merger with MTN Group Ltd, didn’t just involve issues of capital account convertibility and statutory matters, but several other issues related to the existing policy framework in India. In addition, entities that are ineligible for investing in Indian companies could have acquired a stake through transactions carried out on the overseas exchange, in violation of the Foreign Exchange Management Act (Fema). Bowing to the demand for dual listing would also have weakened the Securities and Exchange Board of India’s oversight of the stock market, led to trading activity being taken away from stock exchanges in India and a likely revenue loss for the Indian exchequer. The South African national treasury had made it clear to MTN as early as on 11 September that it would only approve the merger deal if India allowed dual listing and provided the African telecom firm remained domiciled forever in South Africa, according to people familiar with the situation. The people didn’t want to be named. Dual listing envisages listing of shares of Indian firms, both on the domestic stock exchanges as well as on the overseas stock exchange. Thus, the equity capital of a domestic firm would partly be listed in India and partly overseas in the respective local currencies. Existing Fema provisions do not allow Indian companies to directly list their shares on an overseas stock exchange. The failed Bharti-MTN transaction structure envisaged that MTN’s primary listing would continue on the Johannesburg Stock Exchange, with the firm remaining domiciled and taxed in South Africa. Key decision making posts—chairman, chief executive and chief financial officer—in the post-transaction entity would be MTN appointees for at least three years. 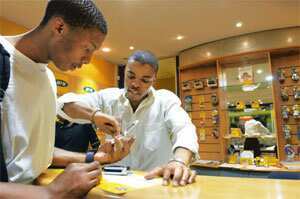 Strong five-year standstill provisions were to apply to Bharti’s proposed 49% shareholding in MTN. An analysis by Indian authorities concluded that it would not be possible for India to carve out a special dispensation only for dual listing, without full capital account convertibility. Crucially, dual listing would have meant that with Indian firms raising and utilizing capital overseas without repatriation to India, the Indian government would have suffered potentially huge revenue losses. It was perhaps all this that led India to conclude that it would not be possible to carve out a special dispensation only for a dual listing without major change, a fact echoed by communications minister A. Raja in comments to reporters on Thursday.